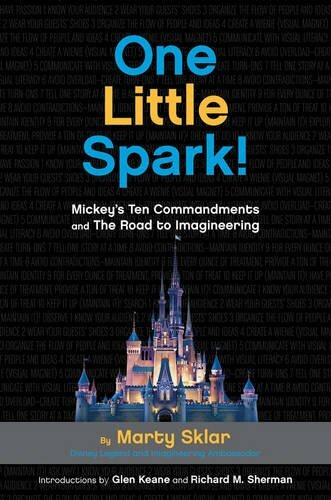 We've all read about the experts: the artists, the scientists, the engineers-that special group of people known as Imagineers for The Walt Disney Company. But who are they? How did they join the team? What is it like to spend a day in their shoes? Disney Legend Marty Sklar wants to give back to fans and answer these burning questions. When Marty was president of Walt Disney Imagineering, he created a list of principles and ideals for the team, aptly named Mickey's Ten Commandments. Using this code of standards as his organizational flow, Marty provides readers with insights and advice from himself and dozens of hands-on Imagineers from around the globe. It's a true insider's look like no other!